Digital Rights Management What Is DRM & Why Does It Exist If It's So Evil? [MakeUseOf Explains] What Is DRM & Why Does It Exist If It's So Evil? [MakeUseOf Explains] Digital Rights Management is the latest evolution of copy protection. It’s the biggest cause of user frustration today, but is it justified? Is DRM a necessary evil in this digital age, or is the model... Read More , or DRM for short, has been a hot-button topic over the past few years. 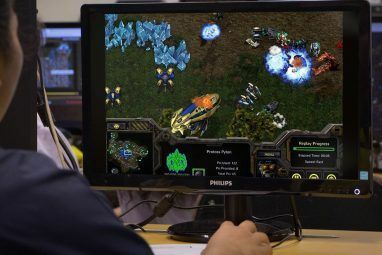 The proliferation of online connectivity has made it easier for publishers to justify various measures that force players to login to play or periodically check a game’s validity with a remote server. Yet DRM isn’t a recent invention. There are games twenty years old that try to throw off hackers, pirates and thieves through various means, some of which are devious or downright evil. Pirating a game is easy – except when the games retaliate! Although not explicitly designed as such, early consoles were effectively a form of DRM. By using proprietary cartridges, rather than a commonly available format (like the floppy disk), console makers effectively crafted a form of physical copy protection. This didn’t stop for-profit bootleggers, of course, but it did stop the average person from copying games on their own. 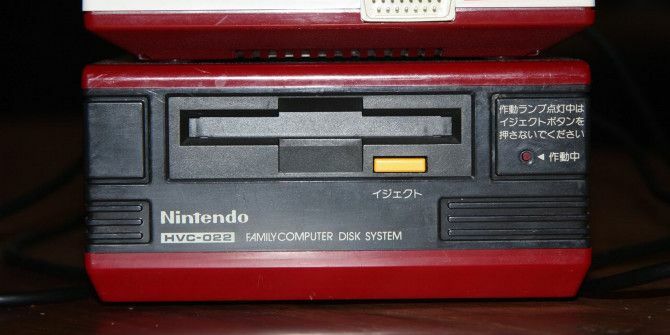 The tactic was considered effective enough that, when Nintendo introduced the Famicon Disk System (an NES add-on that could play games from a floppy), the company added a physical restriction in the form of a big, fat, raised Nintendo logo. Disks without the logo would not work, even if the data on the disk was identical. Proprietary cartridges are a pretty good way to prevent piracy, but they can be copied after some reverse-engineering, and by the 1990s companies looking to make a buck began to market devices that could copy or “backup” game cartridges, putting piracy within reach of the average gamer. To combat this, some games inserted code which checked the specifications of the hardware running the game. If an anomaly was found, bad things would happen; the game might refuse to play, might not start properly, or might not allow you to save. Earthbound Best of OCRemix: Chill Out to These 5 Earthbound Remixes Best of OCRemix: Chill Out to These 5 Earthbound Remixes Earthbound is one of those games that didn’t meet a lot of fanfare upon release, but slowly built up a fan base over time until today when it has become a cult classic. It’s known... Read More , a famous RPG for the SNES, took a particularly evil approach. The game would appear to play normally, but would increase the rate of random enemy encounters, making the game far less enjoyable. And, if you managed to slog through anyway, the game would freeze and delete all your save data during a boss fight near the game’s end. Many rage-quits occurred because of this harsh punishment for piracy. While the cartridges used by consoles provided a basic form of DRM, computer games never enjoyed such protection. To combat piracy, PC game publishers instead used floppy disks with unusual manufacturing features that could not be easily reproduced, but this also meant users could not make backups – an issue when you ship games on something as fragile as a floppy. Publishers wanted the best of both worlds, so they started to ship physical off-disk copy protection in the form of complex passphrases or codes. 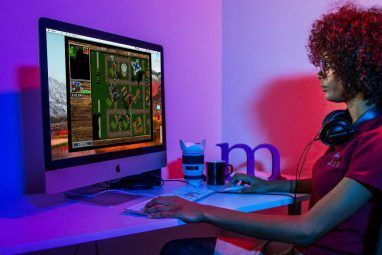 The most well-known example is The Secret of Monkey Island 7 Classic Video Games You Can Play On iOS [MUO Gaming] 7 Classic Video Games You Can Play On iOS [MUO Gaming] I've made it no secret that I am a big fan of classic gaming. I've written about NES games with insane values, websites for collectors, and even games that retailers overcharge for. Of course, not... Read More ’s Dial-A-Pirate, a rotating paper wheel with faces printed on it and small, rectangular cut-outs with location labels through which numbers could be seen. The game would occasionally show a face of a pirate, along with the place where they were hanged, and the player would have to rotate the Dial-A-Pirate to match the information the game displayed. Doing so would display a short DRM code through the wheel’s cut-out. Other game shipped with puzzles that had to be solved to obtain a key code. Gimmicks like this were called “feelies,” since they were physical and often had to be touched or manipulated to work. Though creative, gamers who figured out how to solve a feelie could simply share the information on message boards, rendering them useless. Eventually, this idea gave way to the more practical CD key. The advent of the Internet meant it was easy for people to share the secrets to hidden codes or puzzles, so another type of physical copy protection was required. Many variants appeared, but the strangest is without a doubt Lenslok. As the name suggest, this form of copy protection used a lens that was held up to a television to decode a scrambled on-screen message. The specifically designed lens would re-direct light, making the code readable. However, this would only work if the Lenslok was held in precisely the right location, and it wouldn’t work at all with extremely large or small TVs. Whoops! Lenslok wasn’t very popular for obvious reasons, and it was used with only a handful of games (including the famous space-fighter game Elite) in the 1980s. The idea moved on to dongles that must be plugged in to a console or computer to make a game work, which were more reliable, but still very easy to lose. Though these too proved unpopular and are no longer common, the tactic has been used as recently as 2008’s DJMax Trilogy. The 1990s was an era of relatively light DRM. CD-ROMS were, for a time, an effective barrier against pirates because burners were extremely expensive. Eventually prices came down, but most PC game publishers responded with nothing more than a CD-key that must be entered at installation. Consoles, meanwhile, used a combination of proprietary code and hardware to thwart bootlegged copies. Both forms of copy protection were easy to circumvent, but publishers didn’t seem particularly worried. Then broadband Internet arrived, and everything changed. For the first time in history, gamers could easily share games with others online. A single person uploading a game as a .zip file could distribute it to thousands of people. Publishers responded with online key checks, which developed into game distribution platforms like Steam and Origin. While most modern forms of DRM simply try to prevent gamers from even launching a pirated game, some developers have baked in pranks. In Crysis: Warhead, for example, guns will shoot chickens if the game can’t validate that it’s a legitimate copy, while Serious Sam 3 pits pirates against an invincible scorpion. Games which pull pranks like this usually do so when an online validation check fails, or when the game detects that its DRM has been removed completely. Though these gags are amusing to watch on YouTube, they highlight the downsides of modern copy protection. Creating a backup copy can be very difficult, if not impossible, and attempting to do so may simply trigger DRM. Some of the worst offenders, like SecuROM and StarForce How CD/DVD/Blu-Ray Copy Protection Software Works [Technology Explained] How CD/DVD/Blu-Ray Copy Protection Software Works [Technology Explained] Read More , have been known to malfunction for no real reason at all, or because CD-burning software is present on an “offending” PC. Consoles are not much better. While hackers and pirates continue to get around each console’s built-in DRM using modified hardware, these modifications can be detected and lead to a ban from using online services like Xbox Live. Worse, hardware modification can trigger a ban whether they’re used for piracy or not. Today’s consoles are more like PCs than ever before and, as a result, theoretically easier to hack – but the punishment for mods has become too high for most players to risk. Some might say that we’re in a dark age of DRM. Certainly, the tactics used today seem draconian when compared to CD keys. But perhaps things are not so bad, because copy protection in the 80s was also pretty severe, and wasn’t offset by digital storefronts offering games at absurdly low prices. What do you think about DRM’s current direction – and where it might head in the future? Sound off in the comments! Explore more about: Digital Rights Management, Retro Gaming, Steam. I will never agree that DRM saves the owners money, it just punishes paying consumers as pirates always get around it, "always". I seem to remember a time when there were manufacturers that were writing "soft" bits on their floppies and occasionally checking it to make sure it didn't read the same every time. Of course, there came the day that someone figured out how to duplicate it. My thoughts on the current use of DRM is that, compared to the costs of games in the 80's and 90's, prices for current hardware and software is incredibly low and people should be willing to pay whatever it costs to play something they really like. 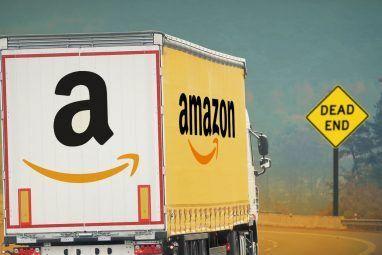 There are even methods of trying most anything you want before buying, so why all the work going into trying to override the protection of something so cheap? My fav was the DRM with StarTropics on NES. I suppose it counts as a feelie; the instruction manual included a "special letter". At one point, the game instructs you to dip it in water, revealing the code that allowed you to progress. My six-year-old self was awfully pissed when, in 1990, I realized that my game had not been wrapped because someone had lifted the letter! Had to put a call in to the Nintendo Game Wizards, where they charge a dollar a minute to provide cheats & strategies. You know what DRM should have, or would? A malware that deletes System32. Mwahahahaha!! In Windows XP or higher, those are protected system files, and there would be an instant lawsuit as soon as the software damaged someone's PC to the point it wouldn't boot, anyway. The original version of Pool of Radiance: Ruins of Myth Drannor had an uninstaller that would trash the computer's OS during an *uninstall* - it would remove files that were vital OS files while uninstalling (if you were using 95, 98, 98SE, or ME); XP would refuse to let the uninstaller delete those. The pranking didnt stop with Crysis or even start with it. EA added a timer to Command and Conquer Generals wich would cause your base to explode and you would loose the game if the game it self could not validate authenticity. The explosion would happen within 2 minutes of a started skirmish. I really liked Alan Wake's "anti-pirating." Give's your character an eyepatch with a skull and crossbones, and reminds you to consider purchasing a legitimate copy during loading screens. Steam sells Spore and its various additions. Steam itself is an inconvenience true, but its games are usually ACCOUNT bound , allowing you to play anything registered there on any machine as long as you are logged in there. Obviously only one instance of your account may be active at any given time. Steam therefore allows for an infinite amount of re-installs. This is worth a check for your case. One of my favorite games was the computer version of the board game Ogre. It came with real radiation badges. It required booting off the A drive and was 5.25 inch. Shame it was never ported, because the AI did a very good job. DRM is why I refused to buy Spore. I really was looking forward to playing, but I flush and reinstall my software once or twice a year, and DRM that limits installs won't work. Haven't bought any Maxis games since and I won't until every copy of Spore has been replaced without that restriction. A patch isn't good enough, I want a copy that never had that DRM and *does not require* that I have an internet connection to play. Since I'm not going to get what I want, Maxis won't get my money. I was tempted to use a pirated copy, but the DRM killed my interest in the game at all. This is an interesting article but the "feelies" being mentioned reminded me that there were games that included these not necessarily as a copy protection as such but as a reward for the user. Infocom particularly comes to mind. Given that, what I'd like to see is an article that lists the best feelies that made people *want* to buy the game; I remember that Magnetic Scrolls did that as well. Commodore software had a variety of noxious copy protection schemes. GEOS built a trojan into their software, so that if you made a copy (no matter how legitimate) the program would allow itself to be used a random number of times and then erase itself completely from the disk, just to take one noxious example. The makers of copy software kept up with the manufacturers pretty well, issuing new parameters every time a manufacturer would try to make its software un-copy-able. Some copying required the addition of a daughterboard to the standard CBM disk drive (which was a standalone unit with its own built-in "intelligence"). Copy protection has always been a fool's game. What made the copy protection work best here was the fact that the 1541 floppy drives could be reprogrammed. By creating a loader which sat in the first one or two tracks which reprogrammed the drive and served as a bootloader for the software, the remaining tracks could be "invisible" to the native system since it effectively became a separate foreign filesystem. I remember old games that asked for the X work at the x paragraph of the x page of the game manual. My neighbors let us borrow their old computer when they got a new one back in the early nineties. They had games loaded on there that required this kind of verification. The game was still playable (but I sucked at it so I never went very far to see if it did anything). I wasn't going to go over to my neighbor's house to borrow the manual. I remember a Golf game on the Commodore 64 contained a sheet that was coloured a dark color (I think it was plum) and on that sheet were black diagrams. The game would aks you to verify the image on screen, and enter the corresponding code from the sheet. The sheet was impossible to photocopy or trace since there was no contrast, and no colour photocopiers at the time. Also I recall that when I had a Sega Genesis I had a device that plugged into the cartridge port of the Genesis and it had a passthru interface (another cartridge port on top) then the device had an RS232 cable that lead to a 3.5" floppy drive. The device could only copy cartridges that had less data than 1 physical disk. Once the game was copied you could play with just the disk. SimCity used this scheme too. A dark red piece of paper with grey writing on it. Teenage Mutant Ninja Turtles the Arcade Game for Amiga also had a red piece of paper with black startup codes on it. My favorite DRM story is from Game Dev Tycoon. If you try playing a pirated copy of the game it will work fine at first, but you will slowly start to lose all your profits due to piracy until your dev studio goes bankrupt.